The team at Bromley Dental Studio consists of dentists, hygienists, nurses and support team members who are motivated by their commitment to providing the highest levels of dental care and quality of service. 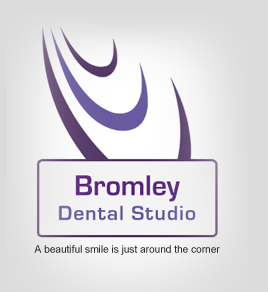 Bromley Dental Studio has been established as a dental practice on Bromley's High Street, South east London for over eight years. The highly qualified team of dentists at Bromley Dental Studio provide a general, cosmetic and restorative dentistry services. 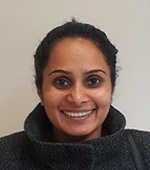 If you are looking for a Dentist in Bromley, Beckenham, Orpington, Petts wood and Bickley or South East London, then do not hesitate to call to book your first consultation. Dave is the principal dentist and owner of Bromley Dental Studio. Lisa trained and worked as a dental nurse for over fifteen years before joining Bromley Dental Studio. As our dental practice manager Lisa has a responsible role to play within our dental practice which involves the management of the dental team. As our manager Lisa is involved in many aspects ensuring a practice runs smoothly and efficiently. Our dental hygienists play a very important role by working closely with the dentists to ensure and maintain total oral health. They are directly involved in the active treatment and preventative measures to help keep gum disease and decay at bay. This is achieved by scaling and polishing the teeth in conjunction with oral hygiene instruction, dietary advice and advising patients to use the most appropriate oral hygiene products for them e.g. an electric toothbrush, inter-dental brushes or floss. All advice is tailor made for the individual, therefore finding the most suitable and effective treatment plan for you. Most of our patients see the hygienist regularly which provides the best chance to avoid gum disease and bad breath and improves your overall smile by keeping it free from stain and tartar build-up, in turn it also makes it easier for you to clean at home.